When voters go to the polls this Tuesday, in addition to voting for candidates, they will also have the option of voting on a ballot question. 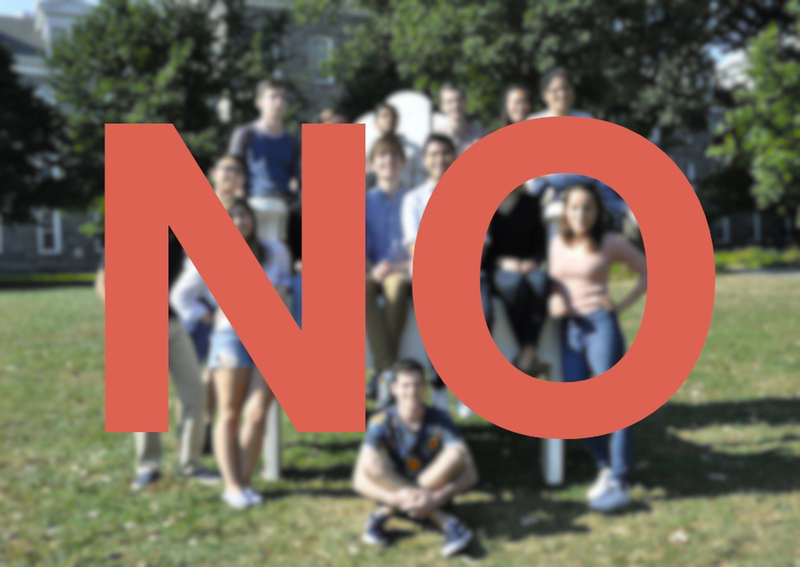 The ballot question is misleading, and you should vote NO on it. Reading this question, it’s easy to assume that the amendment would create a retirement age for judges in the state, a proposition that most voters support. With this wording of the question, 64 percent of voters indeed support the amendment. Unfortunately, the wording of the ballot question obscures an important truth. The current retirement age for judges is already 70 years. If approved, the new proposal would actually raise the retirement age by five years. Voters clearly have a different impression of the change when they’re given this fact. With full knowledge of the Pennsylvania constitution, only 39 percent of voters support the change. The Daily Gazette editorial board doesn’t normally endorse candidates or policies but this year’s ballot question is an exception. This amendment was so clearly designed to mislead the electorate that we feel the need to speak out. Voters in Pennsylvania should send a message to Harrisburg that any ballot question that attempts to trick the electorate into voting against their true preference will be rejected. Passage of this ballot question would send an important signal that politicians can deceive their voters with no consequences. 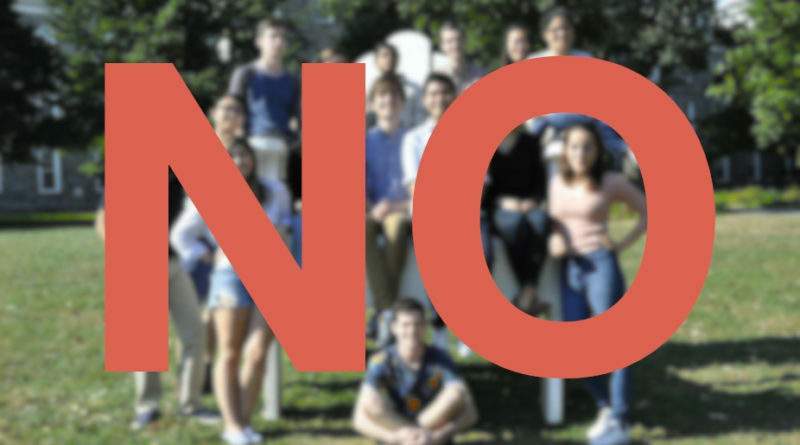 Regardless of the merits of the amendment, The Daily Gazette asks you to vote NO. Supporters of the amendment should try again later, but next time they shouldn’t hide their true intentions behind opaque language. I was furious when I saw the way they worded that question. Had someone not pointed it out to me, I’d have assumed that there was no limit on age beforehand, not that they were INCREASING from 70 to 75! The question should read whether they should increase the retirement age from 70 to 75. This is so bad that it constitutes a blatant deception on the Pennsylvania public. Thank your unethical PA Supreme Court, including Christine Donohue and especially Max Baer, who refused to recuse himself from ruling on this even though he was a direct beneficiary of raising the retirement age. The misleading wording was deliberate by GOP and allowed by corrupt PA Supreme Court, especially Christine Donohue and unethical Max Baer who refused to recuse himself although he is a direct beneficiary of a raise in the retirement age. Just looked them both up (Donohue and Baer) and see democrat. What am I missing? You said it’s a GOP issue. Coincidence that the Chief Justice turns 70 next month? Cmon there’s no conspiracy here. Why should we force out smart, older judges? Because their smarts and their judgement are worn out. Let’s give the 40 year olds a crack at it. It’s manipulative. Many voters hadn’t known anything about it. If you’re going to put it on the ballot make sure to accurately represent the purpose. The purpose was to raise the age so it should be stated. The way it reads one would think they’re establishing a limit.. not raising one. Chief Justice Thomas G Saylor is the only elected Republican on the PA Supreme Court. The only other Republican was appointed by Gov TomWolf. It would seem that this ballot question only immediately affects a good Republican judge. Vote YES to up the age to 75. My wife and I were both misled. We would have definitely voted no had we had the requisite information. My wife and I were both misled as well.. The skullduggery notwithstanding, can someone please explain to me why raising the retirement age to 75 is bad? This disgusts me to no end. My 12 year-old daughter went into the booth with me. I asked her what she would vote after reading the question, she said “yes”. Having done the research myself ahead of time, I then explained the background to her, she was like “what?!! !” and then changed her mind. The thing is I would have voted yes as I think a 70 year-old is still very much functional. But I was so disgusted by it, I voted “No”, not that it changed the outcome. This is blatant cheating. Ballot questions are often designed to confuse people, and garner far too little attention leading up to the election causing people to be uninformed when voting on them. However, what this article does not do is voice a single reason to support or not support this ballot initiative. What the article claims is that most people in Pennsylvania would not vote for this ballot initiative if it was phrased more clearly. However, why should anyone vote based on what the majority of people in PA think? If I, for example, were to support this ballot initiative I would vote for it, even if people disagreed, because that’s what voting is for: creating laws and electing leaders who represent our beliefs. I’m someone who doesn’t know a lot about this ballot initiative and would like help in understanding this issue more, so I’m a bit disappointed that this article does not list the merits or detriments to the ballot initiative in its own right, rather than simply telling people to vote no because of issues with the wording. You seem to not understand the point of the article. List of “pros and cons” would be subjective at best, because what is a pro to one person may be a con to another, and that is not the purview of this article. The editors clearly state that the reason we should defeat the proposal is that the wording is misleading. Nothing more, nothing less. Citing how people vote isn’t to show its popularity, it is to show that the wording is misleading and has a direct influence on the outcome. The bottom line is, if the supporters of this amendment want it to pass, they should be open and honest about it, including all pertinent information. Looking for more seems to understand this article, which makes a whole lot of hoopla over nothing. I refuse to vote against a reasonable proposal on principle. Hate the politicians who used vague phrasing, not a proposal to keep smart experienced judges on the bench. Let’s get someone to work on throwing this CROOKED vote out and revert it back to 70. This is nothing but theft and corruption. This was a deliberate attempt to mislead voters into voting they way that THEY wanted. It was worded to make people think that there was no age limit in place already. If it did in fact, say “raise the current retirement age from 70 to 75” that is straight forward. We need to rally and make them recall this amendment. A blatant display of skullduggery at its finest. I totally agree with you. I re-read the question 3 times to make sure I understood the question. It was ambiguous leading voters to thinking that judges, etc should retire at 75 when the real question should have read, ” do you want judges, etc to work til they turn 75? And not retire at 70 as is the current age”. I feel disgusted that this could happen. I spoke with several friends and asked how they thought the question read. They were “snookered”, hoodwinked, befuddled. This should be overturned and re-written clearly. Shame on you the officials who did this. Such a shame our government feels they need to scam the American people to get what they want. They’ve been doing it for years. Who can I contact if I feel like I have been mislead? It’s either deliberate misleading as this story describes…or it is complete government incompetence. How could anyone in their right mind proofread this and approve it? It’s almost as bad as the state bureaucrats who approved the Flagship Niagara license plate that you can barely read 15 feet away! This all screams government incompetence people! We need business people running this country and state now more than ever! It’s the former. The question was originally on the ballot for the primary elections. They decided to reword it for the fall election, but made the decision too late to remove the question from the ballot in the primaries, so it was on the ballot and people voted on it, but the results didn’t count due to the decision to pull the question until fall. The original wording made it clear they were raising the retirement age and not instating one for the first time. You are wrong. It was deliberately changing the wording to delete reference to existing age 70 retirement. This was done AFTER it was approved twice by legislature. New wording was never submitted for approval as PA Constitution requires. Thus, it was an ILLEGAL question on the ballot. Yet, corrupt PA courts approved it when challenged, because they want a paycheck longer. After just voting an half hour ago and now reading this….yes I was definitely misled!!! If you’re unable to figure out the facts of a simple ballot question, maybe voting isn’t for you. Slightly confused! Is this saying the original age for supreme Court justice was 70, yet 3 of them are over 70 years old. 2 are in their 80s! Supreme court (Federal) vs State Supreme Court. When I got my absentee ballot, there was also a page that had a detailed explanation of the ballot proposal, and it mentioned that they were raising the age from 70 to 75 and had some other details (I think they also had instructions on it in Spanish). I didn’t do thorough research on it at all, but I don’t think I was misled in the slightest. Where would you be without the special explanation? There is no such explanation of the in-person voting. These ballot questions are not a secret – if you are going to the voting booth with blind ignorance to what you will be voting for…you must be a Trump supporter.